I recently had the pleasure of joining another Canberra Foodie (Eileen, better known as @TheFoodAvenue) at her favourite inner-city affordable eatery – Noodle Café in Garema Place. 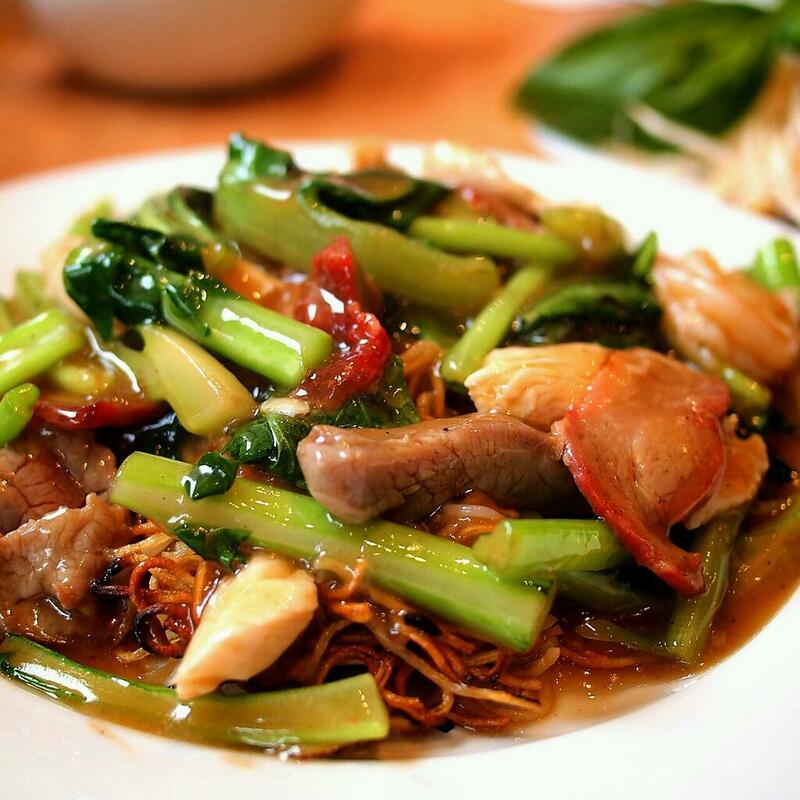 Noodle Café is located right next to HonkyTonks, so makes a convenient pre-party dinner venue as well as a great place to meet friends for a cheaper and satisfying lunch for as little as $10. 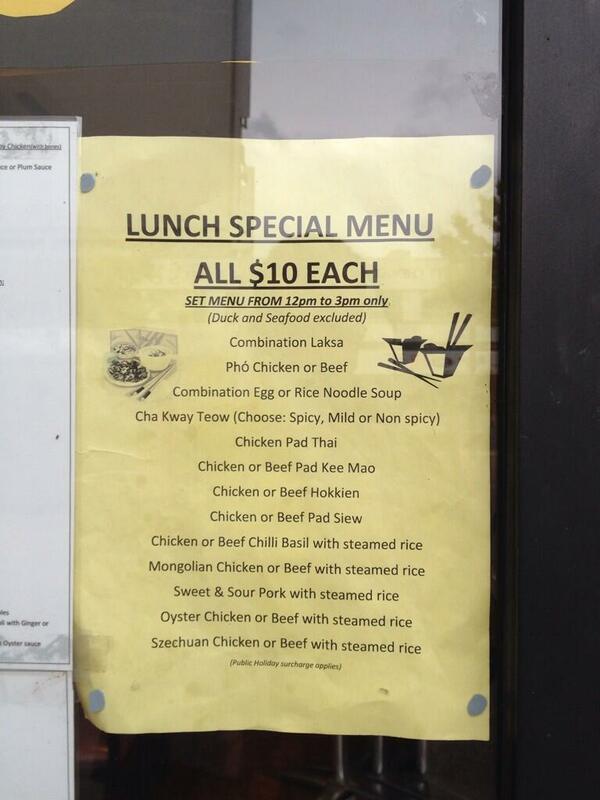 The $10 lunch specials are varied and the main menu has plenty of other affordable options as well. 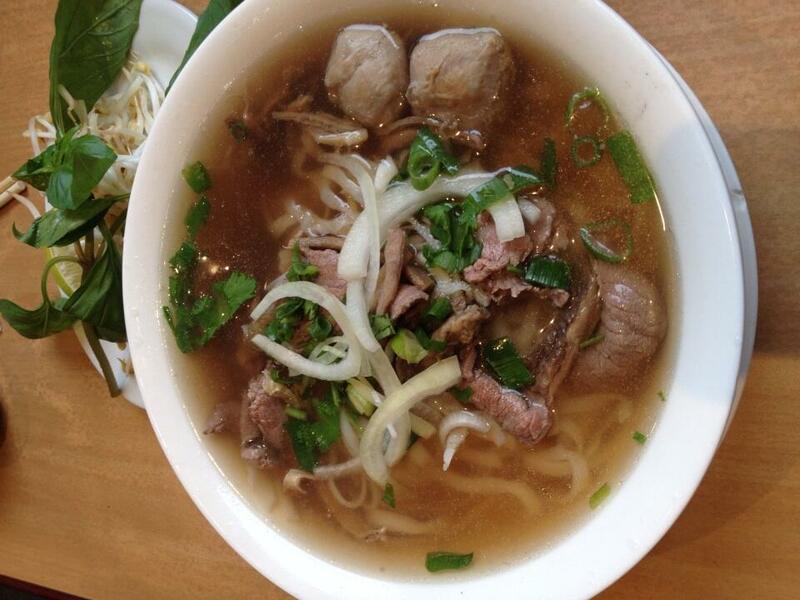 I chose to ask if I could have an authentic beef Pho that included tripe, a delicious dish I grew to love at authentic Vietnamese restaurants around Australia. The friendly waitress obliged, even though this dish wasn’t on their usual menu. It cost a few dollars more than the lunch special pho but was well worth it. My lunch partner Eileen chose her favourite dish, a delicious combination chow mein with perfectly cooked noodles (the two beautiful photos below are hers). We also shared a couple of fresh and perfectly cooked vegetarian spring roles and a couple of tea pots of chinese green tea, all for the extremely reasonable price of $33. Considering the excellent table service (with complimentary prawn crackers) and the freshness and taste and large portions I was extremely impressed. The flavours of the food were amazing. 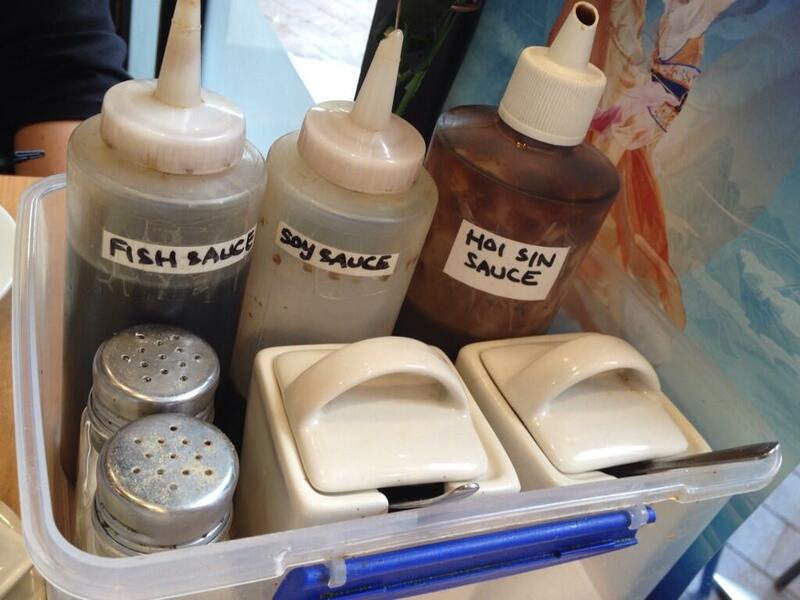 If the food is not exactly to your liking, there is the usual plastic container of chilli and flavouring sauces that anyone who frequents authentic Asian restaurants would be familiar with. 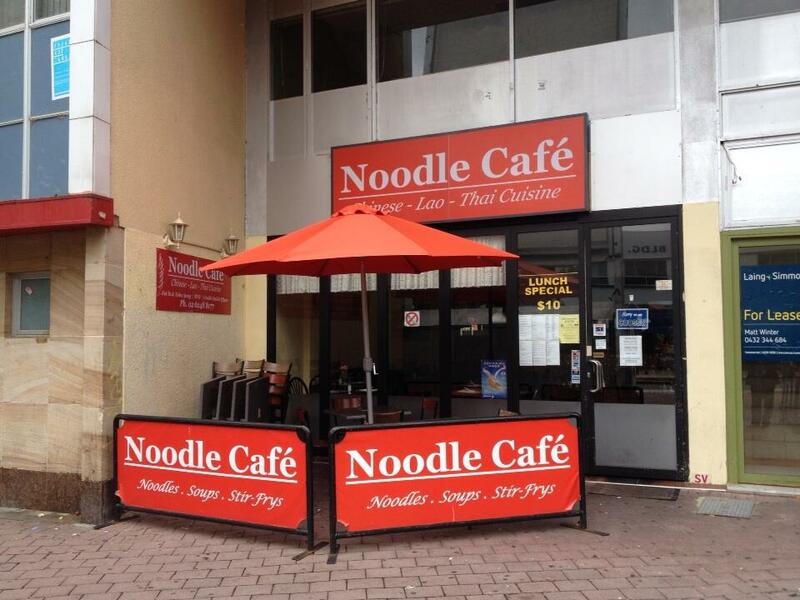 Noodle Café gets 3 #Canberra Beanies and joins our list of top ten affordable eateries in Canberra. If you’re not sure where to find this place, have a look behind the big screen in Garema Place or next door to Honky Tonks. 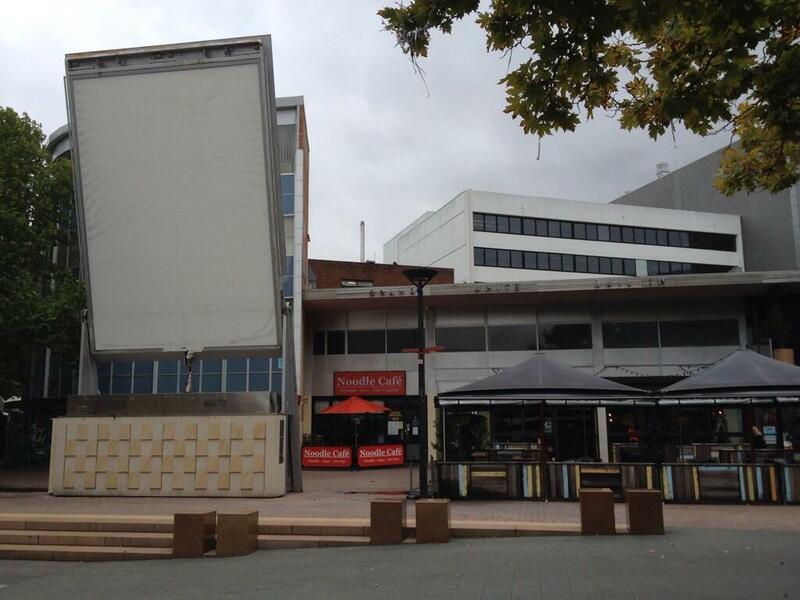 Or if you prefer Google maps, just look up 5 Garema Place. 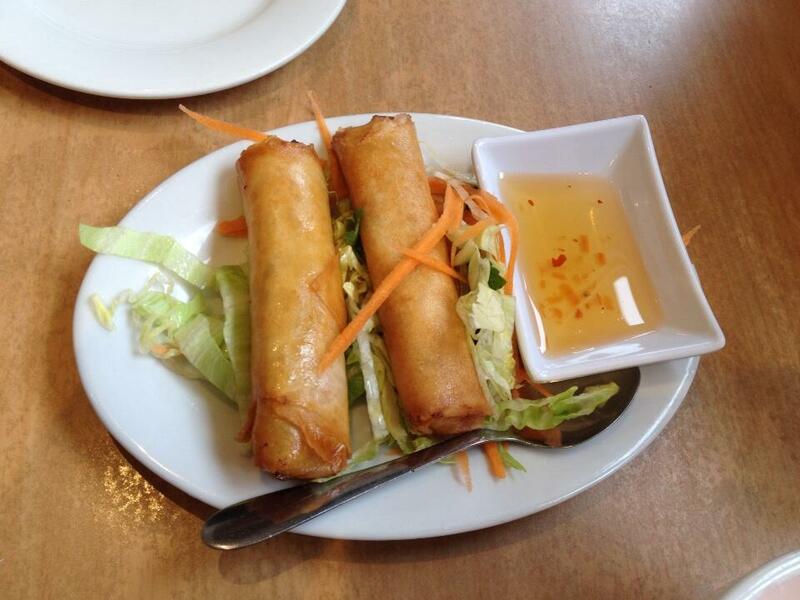 This entry was posted in 3 #Canberra Beanies, Current Top Ten - highly recommended and tagged beef, cafe, Canberra, CBR, foodie, garema, noodle, pho, place. Thanks for the positive feedback! I’m hoping to post updates at least once a week, if you have any tips about affordable food in Canberra to share please don’t hesitate.